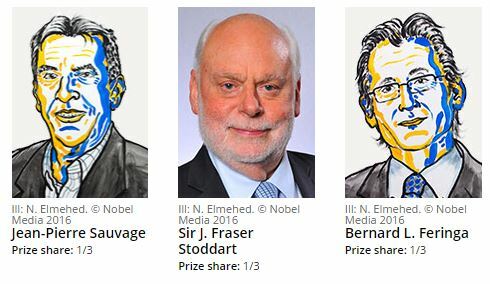 The prestigious Nobel Prize in Chemistry 2016 was awarded jointly to Jean-Pierre Sauvage, Sir J. Fraser Stoddart and Bernard L. Feringa for their outstanding contributions to the design and synthesis of molecular machines. Many congratulations to all of them! Great expectations: can artificial molecular machines deliver on their promise? If you wish, you can read all RSC manuscripts by Prof. Ben L. Feringa, by Prof Jean-Pierre Savage and by Sir J. Fraser Stoddart. In celebration of Peer Review Week, with the theme of Recognition for Review, we would like to highlight the top 10 reviewers for Chemical Society Reviews in 2016, as selected by the editor for their significant contribution to the journal. 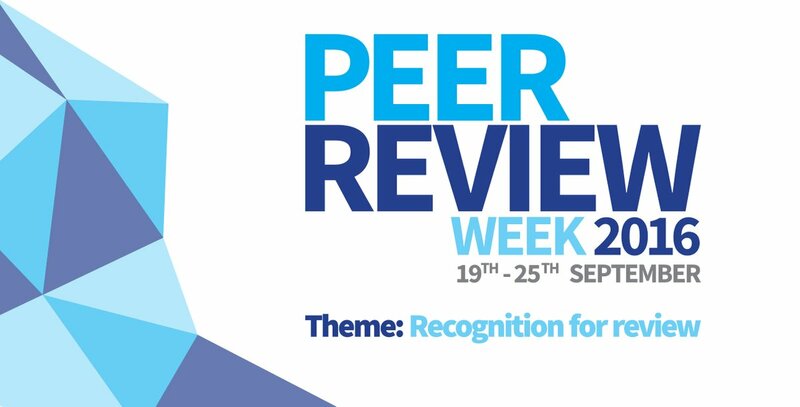 We would like to say a massive thank you to these reviewers as well as the Chemical Society Reviews board and all of the chemistry community for their continued support of the journal, as authors, reviewers and readers. 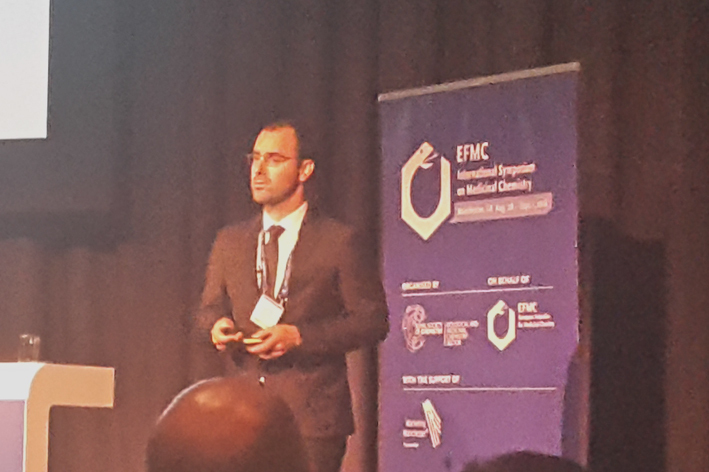 Dr Gonçalo Bernardes (University of Cambridge, UK), one of the winners of the 2016 Chem Soc Rev Emerging Investigator Lectureship, is currently on his Lectureship tour. He graduated from the University of Lisbon in 2004 and completed his D.Phil. at the University of Oxford, UK in 2008 under the supervision of Professor Ben Davis working on reaction engineering for site-selective protein modification. He then undertook postdoctoral work at the Max-Planck Institute of Colloids and Interfaces, Germany under the guidance of Prof Peter Seeberger. He currently leads a research group at the Department of Chemistry at the University of Cambridge where he holds a prestigious Royal Society University Research Fellowship. 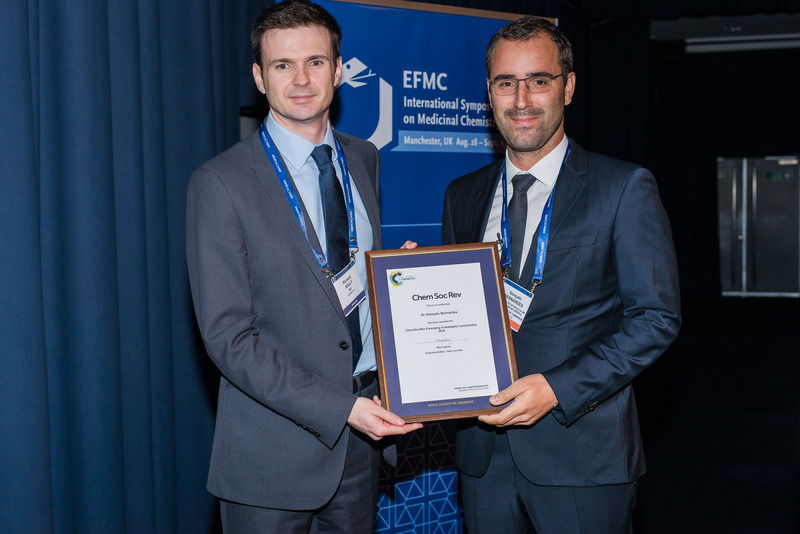 Gonçalo recently attended the XXIV EFMC-ISMC Symposium, where he delivered his RSC Prize Lecture. He was also formally awarded his Lectureship certificate by Richard Kelly, Executive Editor (Royal Society of Chemistry). Did you know? Gonçalo kept a trip diary of his SAFEA-RSC Visiting Researcher Programme China, where he gave the first talk of his Chem Soc Rev Emerging Investigators Lectureship tour earlier this year. Read more about his trip diary in China on MyRSC, the online chemistry community. 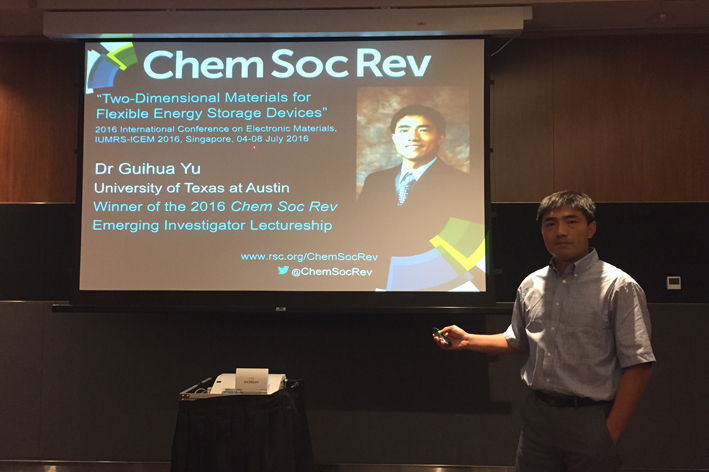 Dr Guihua Yu (University of Texas at Austin), one of the winners of the 2016 Chem Soc Rev Emerging Investigator Lectureship, is currently on his Lectureship tour. 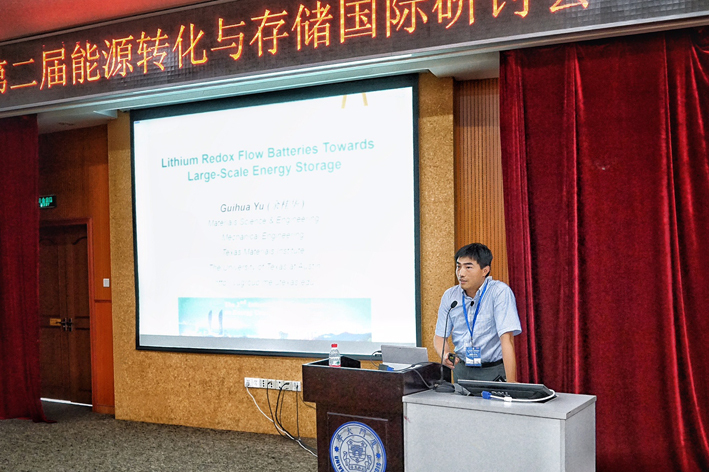 Guihua will next be speaking at the ACS symposium “ENFL: 2D Materials: Graphene & Beyond & their Device Applications” in Philadelphia on 24 August 2016, where he will be formally awarded with his Lectureship certificate. Watch this place for more details soon! Dr Jeanne Andres (Deputy Editor of Chemical Society Reviews) will be attending the Fall ACS meeting in Philadelphia. She would love to hear about your research and meet with our readers, authors and referees. Please do get in touch with Jeanne if you would like to arrange a meeting in advance.